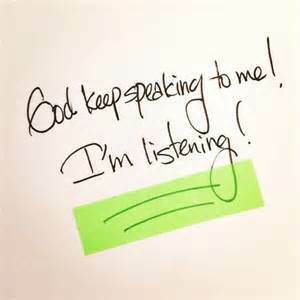 He still speaks and He is waiting on us to come to a place of stillness to hear what He is saying to us. Are you listening? What can you do to make sure that you are tuning in to the voice of the Lord?